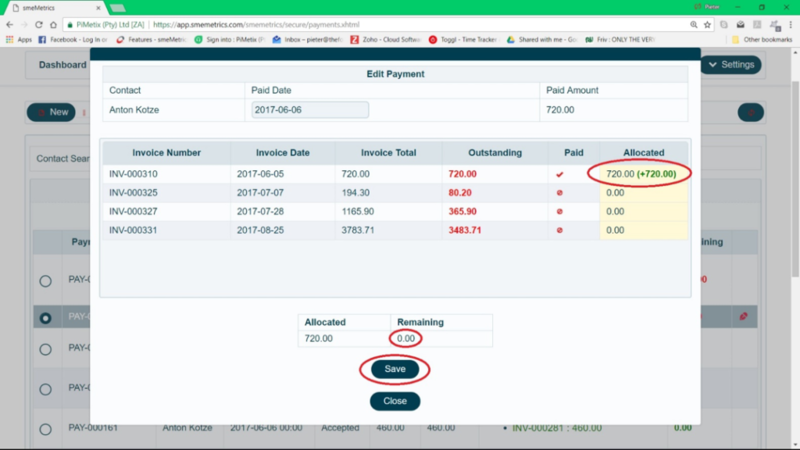 Editing paid invoice is the topic of this practice management software training. 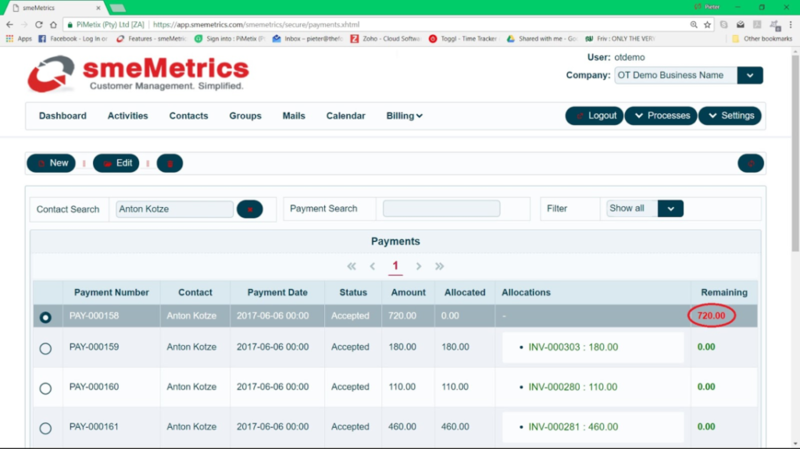 When an invoice has been allocated a payment, you cannot change the details of the invoice on smeMetrics. However, there are certain circumstances where you would need to do this. For example, if the ICD10 code was entered incorrect or the medical aid details of the patient are incorrect and needs to be corrected before submitting it to the medical aid. A common scenario is where the client paid the healthcare practitioner in full and wants to claim back from the medical aid. The medical aid refuses to refund the member/client, because the ICD10 code on the invoice is incorrect. The healthcare practitioner is approached by the client to update the invoice with the correct ICD10 code. 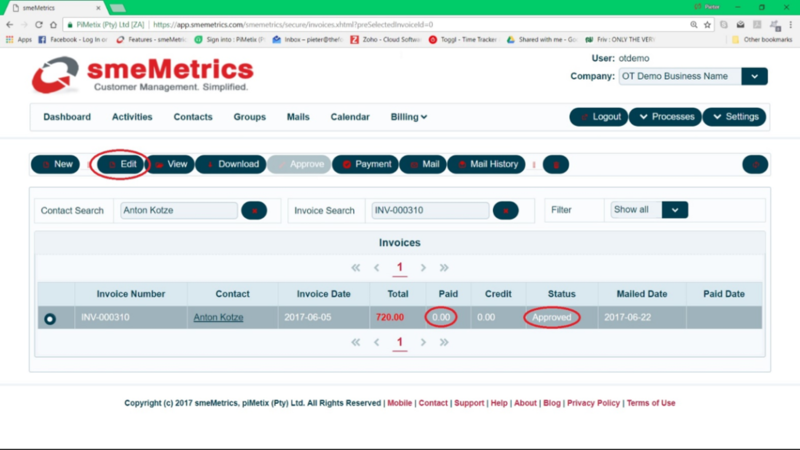 The following procedure will show you how to edit an invoice on smeMetrics where the invoice already has a payment allocated to it. If payment has already been fully allocated to an invoice, the invoice status reads “Paid” and the Edit button will be disabled. In other words the invoice can’t be edited (as per Figure 1 below). However, it is still possible to edit an invoice after payment has been allocated, by deallocating the payment from the invoice before editing the invoice. The invoice status has changed to “Approved” and the Edit button is active. The invoice can now be edited and the ICD10 code or any other details for the contact, can be corrected. 1. 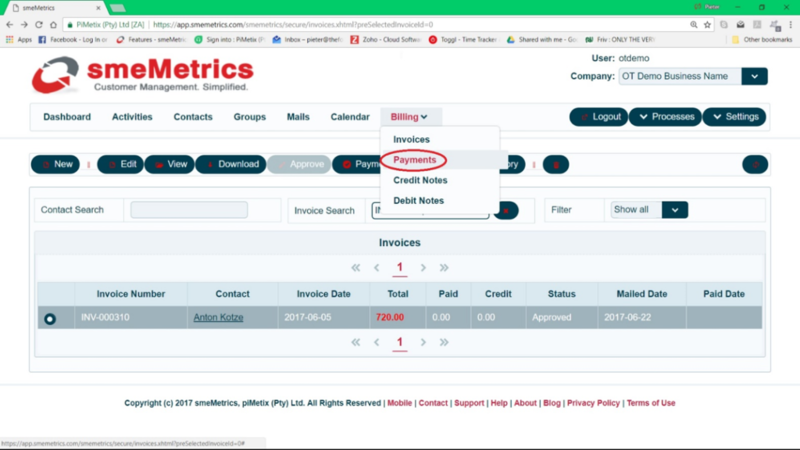 If you want to edit the details for the contact (such as the medical aid details or the client’s address), you will select the contact, click the Edit button, change the details and click the Save button. 2. You will then go back to the Invoices section, select the Invoice and then click the Edit and then the Save button. 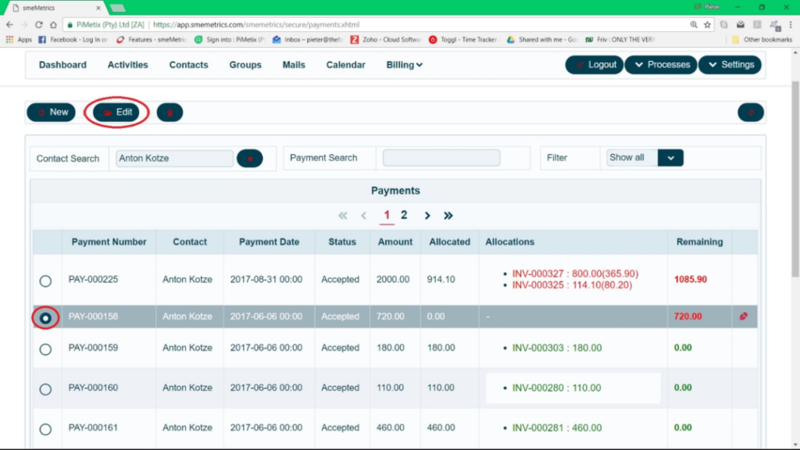 This will then automatically update the invoice with the latest information for the contact. You can view/download the invoice to check that the details have been updated. 3. This process works for all contact information, with the exception of the ICD10 code. 1. Although the ICD10 code is stored in the Medical Info section of the contact, you cannot change the ICD10 here in order to refresh the invoice details. 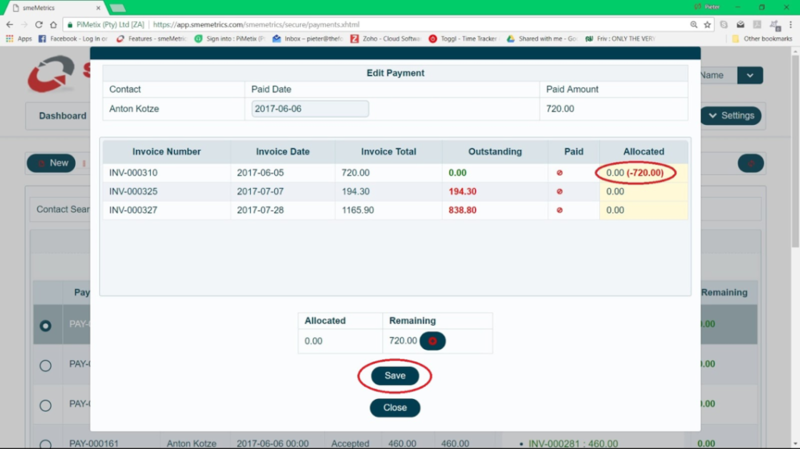 You will need to select the Invoice, click the Edit button and change the ICD10 code on each line item of the invoice and then click the Save button. 2. As a hint, also change the ICD10 code for the actual contact if this is a permanent change so that all new invoices will be generated with the correct ICD10 code. Once the invoice has been corrected, the payment can be allocated back to the invoice. 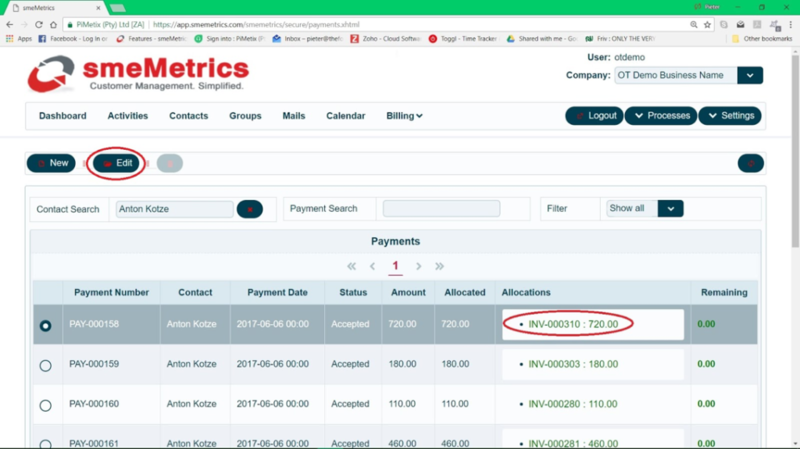 Important Note: Do not create a new payment under Billing > Invoices by clicking on the Payment button. Select the payment as per Step 1 above, and then following the steps below. 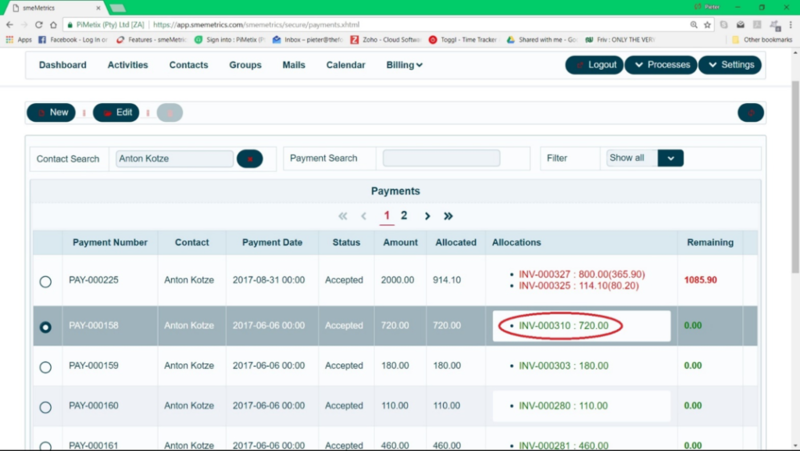 If you go to Billing > Invoices, you’ll see that the Status for the invoice has changed to “Paid” and the Edit button is disabled. 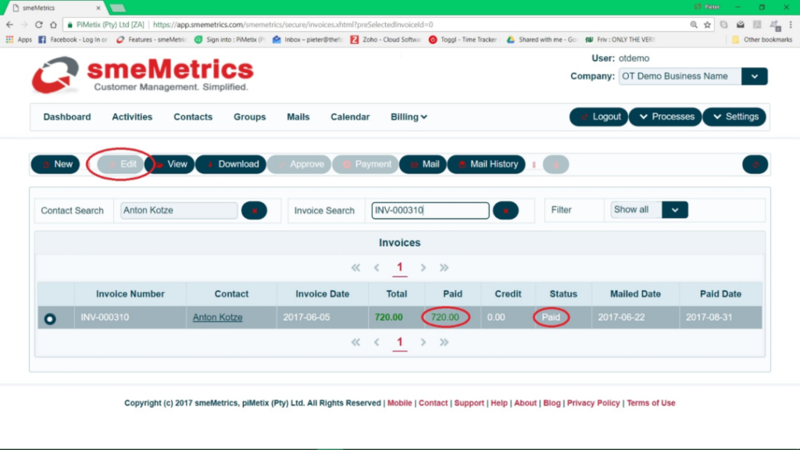 Editing Paid Invoice? Was this Answered Adequately?